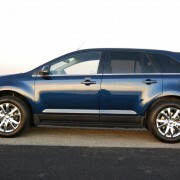 At $38,910, Ford’s EcoBoost Edge pushes the price envelope for a 4 cylinder SUV with front-wheel-drive. 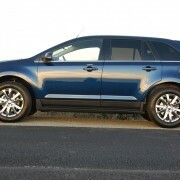 Base price on the Edge is $34,915. 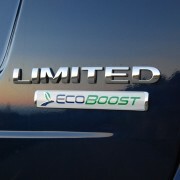 But by the time you’ve added the $995 optional 2.0 liter EcoBoost engine, new for 2012 and featuring direct injection, the $485 Vision Package (with blind spot monitoring), the numerical keypad Driver Entry Package ($895) and a Voice Activated Navigation System ($795), you’ll find yourself spending more than you would for a comparable VW Tiguan, and squarely into Audi Q5 all-wheel-drive territory. 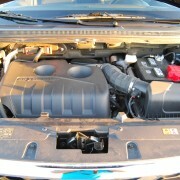 Although you can fit your Edge with either a 3.5 or 3.7 liter V-6, (good for 285hp or 305hp respectively), the turbocharged and intercooled inline 4 cylinder EcoBoost motor produces 240hp, and more torque (270lb.-ft.) than even the 3.5 liter V-6. 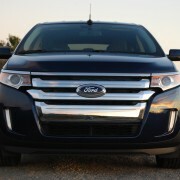 In the long run, you’ll spend less money operating the EcoBoost Edge thanks to its superior 21MPG/30MPG fuel economy, which trumps any of the V-6 models (which average 17MPG/23MPG). Best of all, you will never notice a power deficit with the EcoBoost engine due to its immediate response to depression of the throttle pedal, and excellent reserve of passing power. 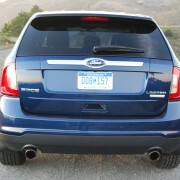 The lively turbo motor deserves a better gearbox than Ford has provided. 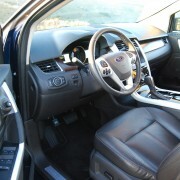 This one, a 6-speed automatic, has a floor-shift with provisions for Park/Reverse/Neutral/Drive/Low. That’s it. No steering wheel paddles, no way to access intermediate gears for quick downshifts. Just PRNDL, like it was 1960 all over again. Plus, it’s all too easy to slip the lever into “L” when you really mean to select “D” because the detents between steps are weak. 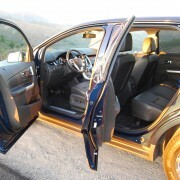 Inside the cabin, the Edge compares favorably with the Tiguan and Q5. 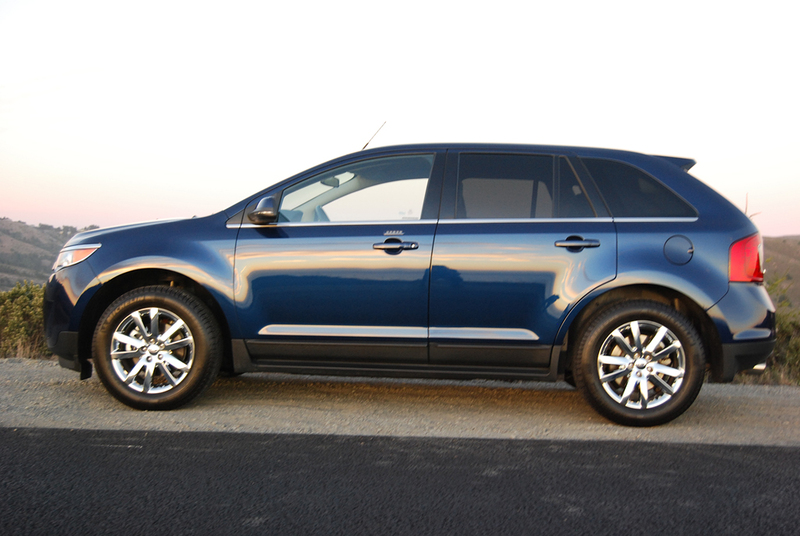 On newer model lines like Edge, Ford has refined fit and finish to match the best of the imports. 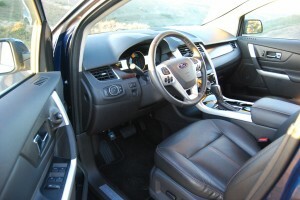 The cockpit here has an expensive look, with flush panel meets, and leather-trimmed 10-way adjustable power front seats that are new for 2012. Even rear seat passenger comfort is well developed, with the 60/40 folding back seats affording plenty of headroom, a pair of overhead grab assists, lots of side glass area, a drop down center beverage holder console, and best of all, sliding and reclining rear seat adjustments. Sony provides the 390 Watt, 12 speaker Audio system, which includes SiriusXM service, and voice command processing by Microsoft SYNCH. If you forego the voice command route, a sizeable dash-mounted touch pad screen processes commands for entertainment plus heating, cooling, and phone. Handling of the Edge is commendable. 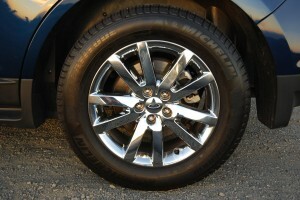 Its short front and rear overhangs centralize body weight and make for responsive steering feedback. Ride motion is well snubbed, with little discomfort passed along to occupants. Fat and grabby Michelin GreenX 245/60/R18 Mud & Snow rated tires grace the chrome spoked alloy rims and provide an unexpectedly high level of grip. 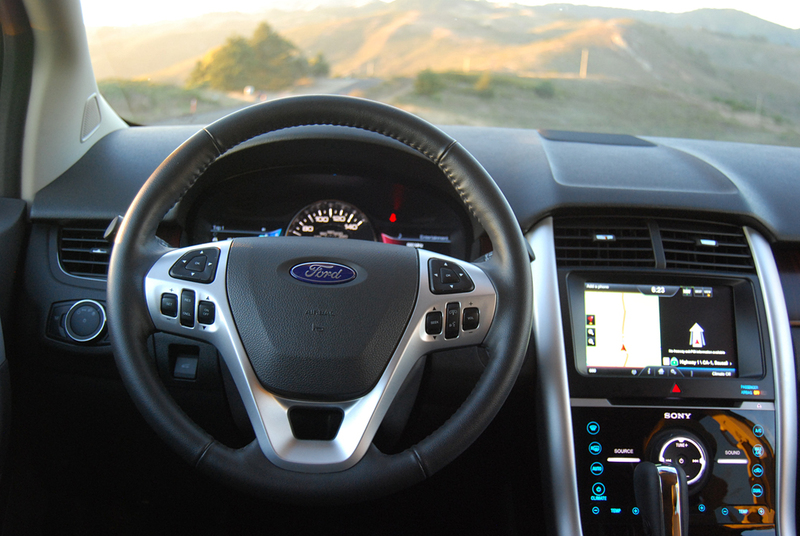 Drivers interested in the mechanical condition of their vehicle will be chagrined to find that Ford has eliminated the tachometer from the instrument panel, along with any gauges detailing oil or water temperature, oil pressure, or battery charge. The Edge thus becomes the poster child for the idiot light award. Some curious ergonomic misses will also lessen your enthusiasm for ownership. The lack of auto up/down on all windows save the driver’s pane is puzzling. Activation buttons on the center stack for fan and temperature settings are incorporated into the hard plastic faceplate. and provide no tactile feedback. Rather, they cluck like a hen when pushed. 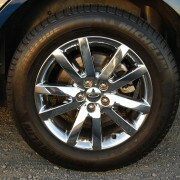 Finally, the welcome automatic opening feature of the hatchback has no counterpart when it comes time to close up shop. That requires a hefty manual pull. Likewise, you can fold the rear seats via button, but restoring them to the upright position requires hand labor. 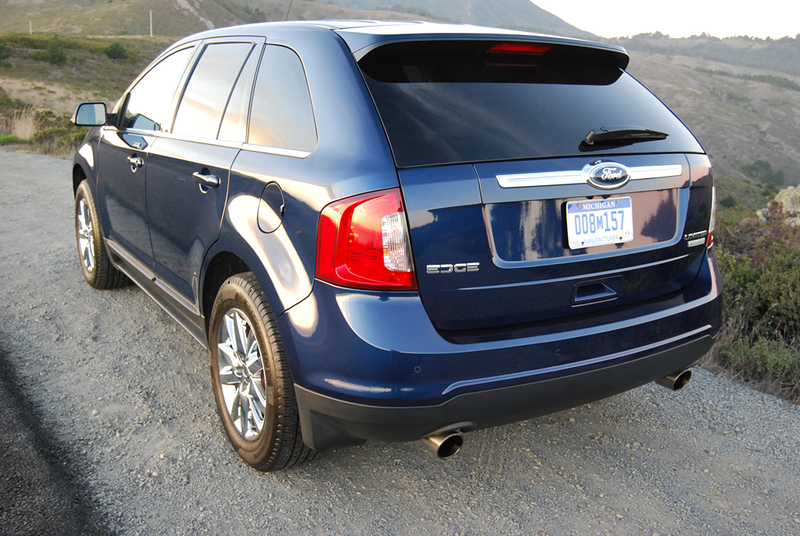 Those gripes notwithstanding, the EcoBoost Edge is a sensible, practical and efficient crossover SUV. 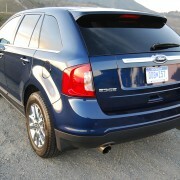 Its superior fuel efficiency and good acceleration differentiate it from other contenders in this crowded market segment. 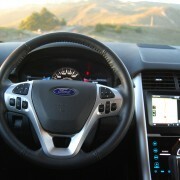 Despite a few interior glitches, this Ford might just have the Edge on its competition.